I am an interior design consultant with 40 years experience in the design field. My experience includes full knowledge of the home furnishings industry and I have worked on over 150 homes from the beginning of construction to completion as well as hundreds of remodeling projects . No project is too big or too small in any residential or commercial space. I have been blessed to receive awards for my work and have my work published in several design magazines. Connie Dean, Ethan Allen Retail, Inc.
Connie has more than twenty years of experience as a professional designer. She has been with Ethan Allen for over ten years and is an associate member of the Interior Design Society. Connie draws on her passion for design and strong listening skills to create beautiful, customized spaces that will fit each client's personal style, whether it's transitional, traditional or modern. Connie's accolades include Ethan Allen Diamond and Gold Spirit Awards as well as Best of Houzz Awards. She has participated in the Glendale Holiday Home Tour along with HBA and Junior League Home Tours throughout the Cincinnati area. 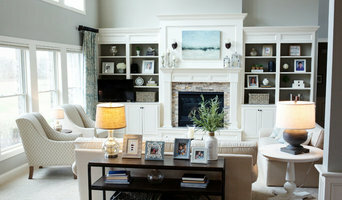 Tipp Interiors is known for creating eclectic, functional, creative designs. We pride ourselves on taking ordinary to extraordinary. We are a full service design firm that works hand and hand with our clients to create a design that is perfect for their style and taste while infusing it with a twist of sophistication. Our goal on every project is to meet the needs of our clients and help convert their "vision" into reality. Heidi Thorn is a graduate of The Rhode Island School of Design with over 30 years of Interior Design experience. She can be reached at Hoffman & Albers Interiors, a local well established design house with a reputation for quality and service. She can advise on paint colors, finishes, provide floor plans and interior furnishings if clients require, either on an hourly basis or by the project. Heidi provides artistic guidance for clients looking to make lifestyle changes and spends time getting to know her clients and their lifestyle needs. We collaborate and then we get to work! I'm a decorator specializing in Interior Decorating and Home Staging. I have the absolute privilege of doing what I love, decorating! So let's make your home the perfect place to chill! 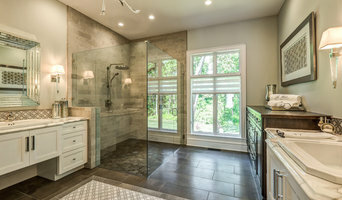 Launched in 2002, K. Clark Design is a Cincinnati-based company offering a full range of interior design services from room redesign to renovation to new construction. I believe timeless design is always "trending" and for that reason I recommend a foundation of classic and timeless selections and then layer with elements that are exciting and of-the-moment. When we work together, you can expect responsiveness, professionalism and a positive, can-do attitude from me. As a project-oriented person, I love navigating clients through the process seamlessly, on budget and on time. I absolutely love what I do so expect fun and a sense of humor too! Another project I am privileged to be part of is Water for Life. This outreach has provided more than 5400 water wells for people in desperate need of clean water around the world. In 2017 the goal is to provide 212 new wells in 7 African Nations. Through a monthly financial commitment, Kelly Clark Design hopes to help Water for Life reach this goal. At Berninger Designs, LLC our goal is to have no two home alike. Lead designer, Sara Berninger, is dedicated to approaching design from a personal perspective, whereby each client's home (primary or vacation) is a reflection of them. She started her career over 15 years ago in Ohio and has since built a strong portfolio in Cincinnati and Dayton. 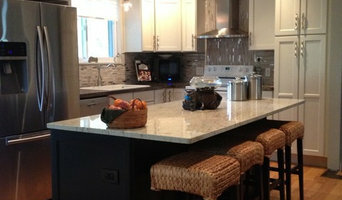 Sara's expertise in design and remodeling, has led her to work with clients in Denver, Chicago, and Florida. She approaches designs from the client's perspective and genuinely believes each home should be as unique and as heartfelt as the individuals occupying it. Her expertise extends from single family residential, vacation properties, and commercial properties to home staging and holiday decorating. The majority of Sara’s projects are currently taking place throughout Colorado and Ohio but she has a passion for working with clients everywhere. I am an interior designer with Hoffman and Albers Interiors, I specialize in complete home and commercial space planning, finishes, furnishings and custom windows. Decorative area rugs and carpet, art, and accesories are available as well. I am also a professional interiors photographer.